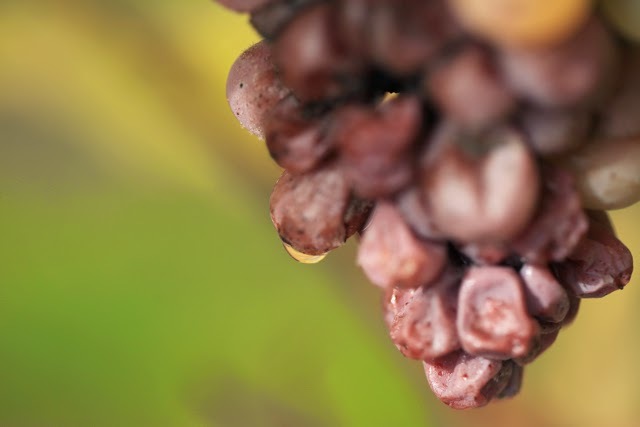 Here are some close-ups of grapes in the Layon in the east of the commune of Rablay-sur-Layon. 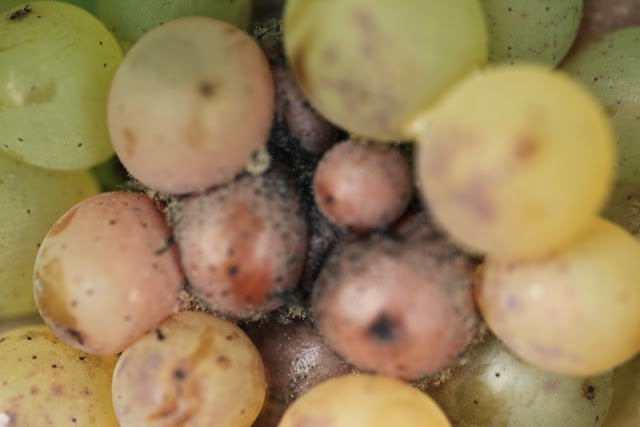 They were taken last Friday. 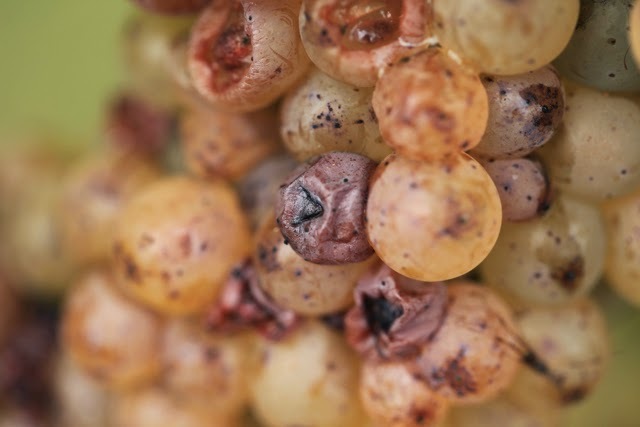 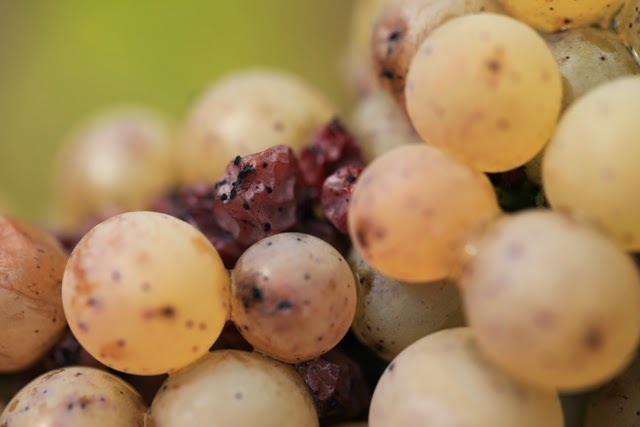 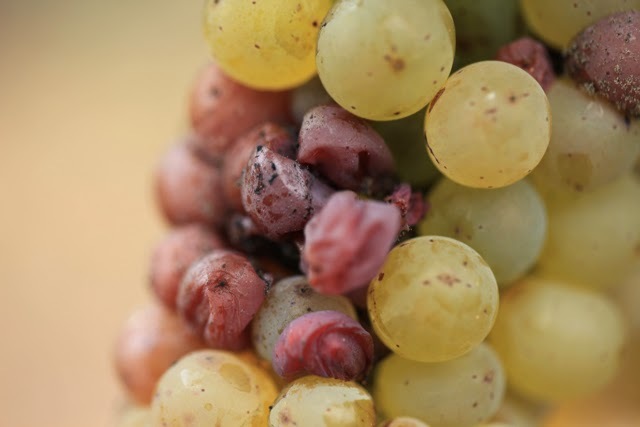 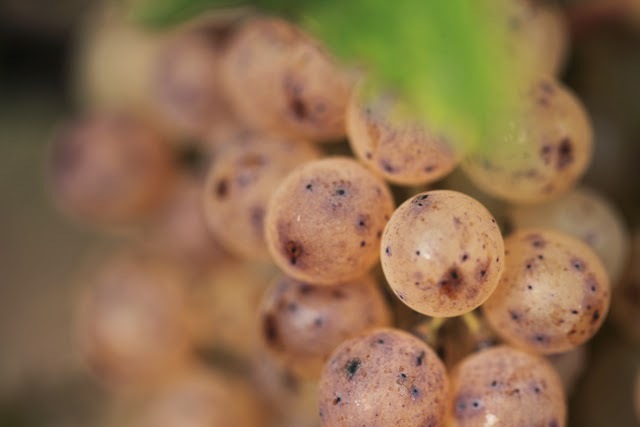 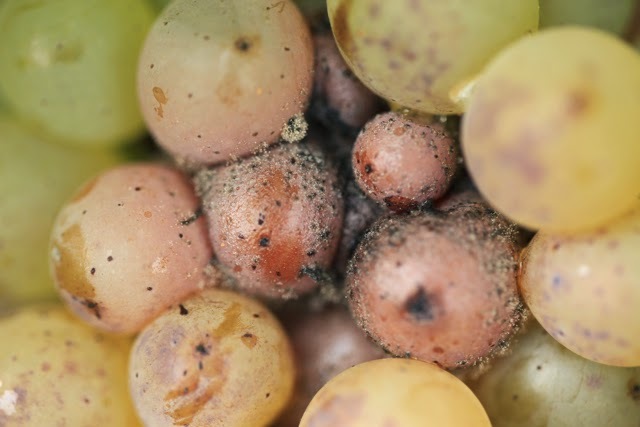 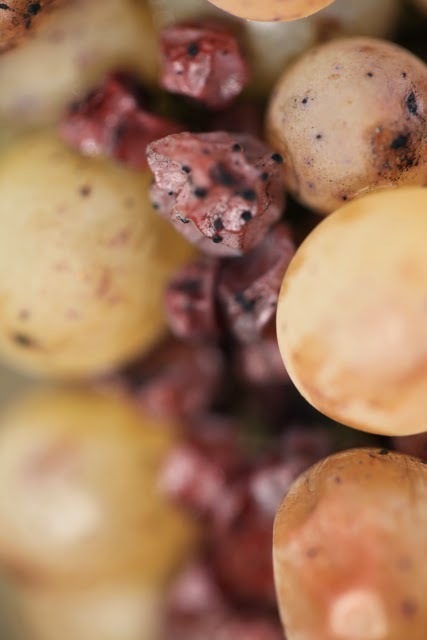 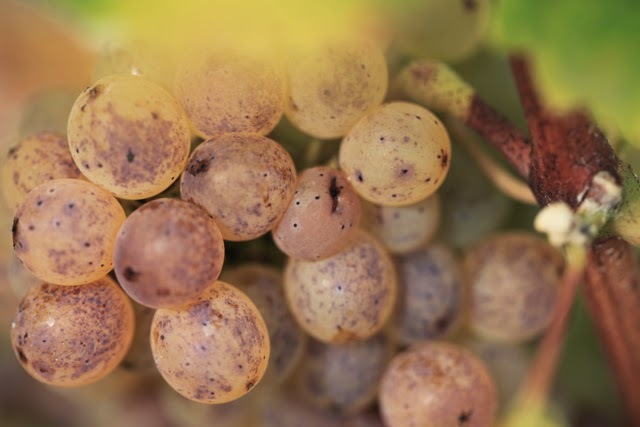 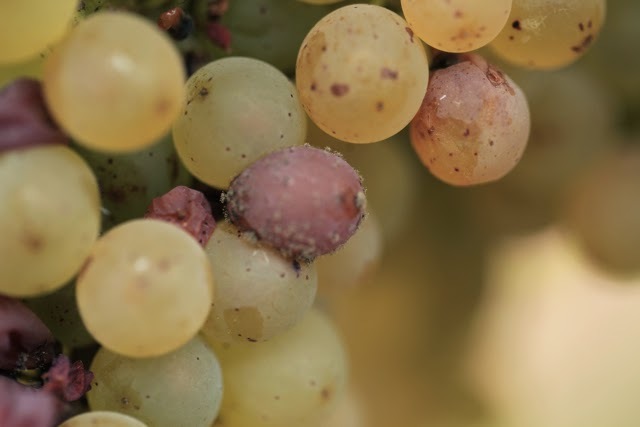 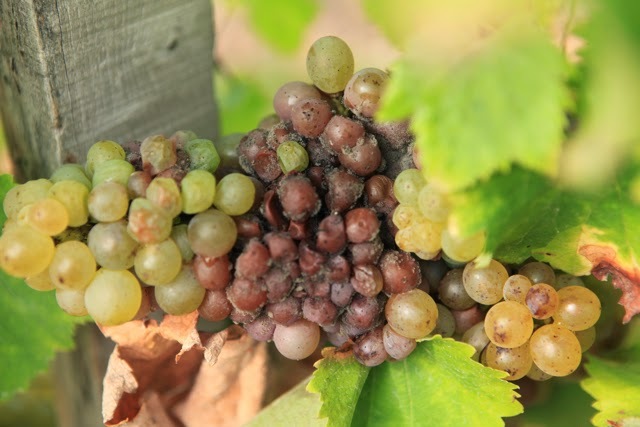 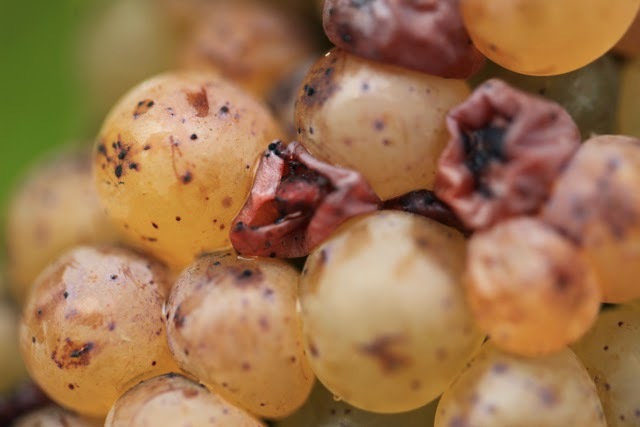 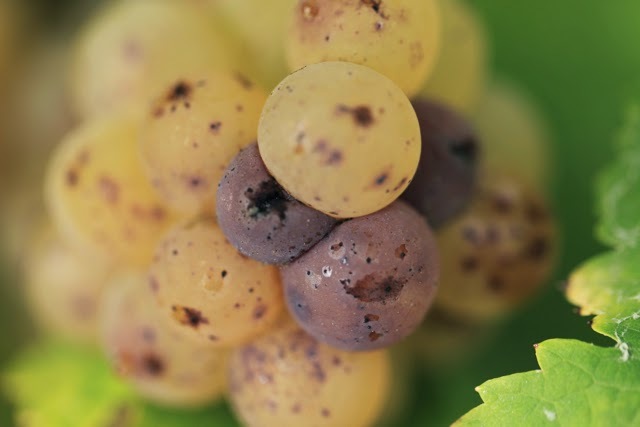 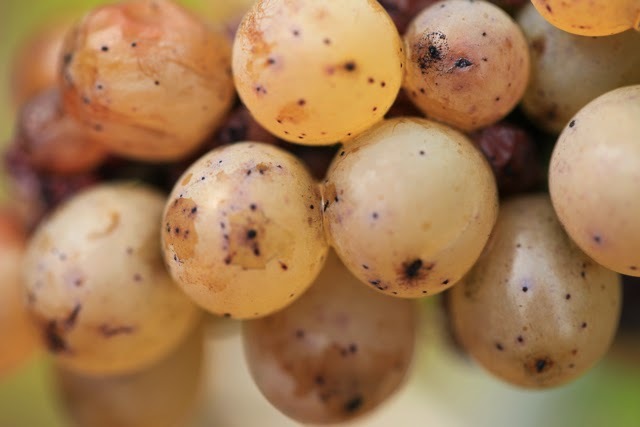 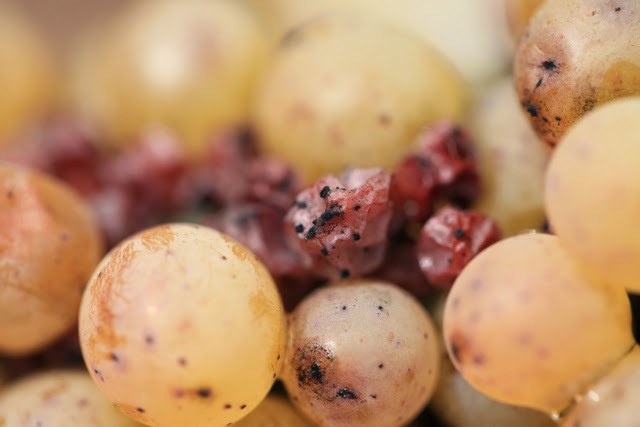 They show noble rot developing, although it may not all be completely noble. 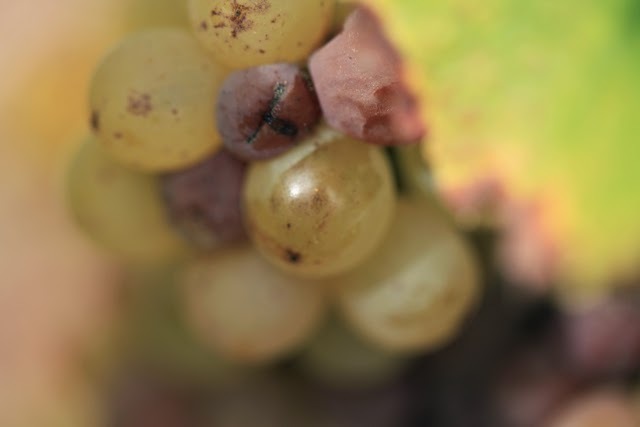 Whether it remains that way will depend upon the weather.